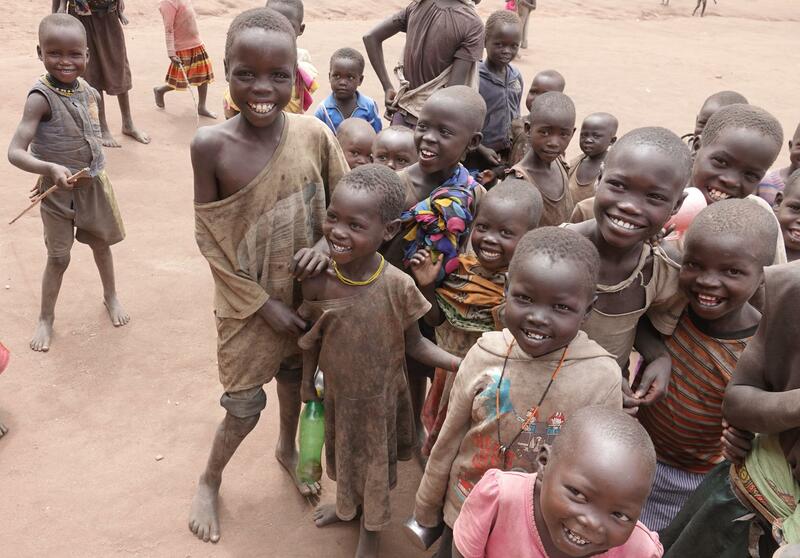 While some of you understand we are schooling extremely disadvantaged kids and young people, perhaps a little glimpse into the lives of the Ik in the remote mountains on the Uganda/Kenya border right near Sudan might make it clearer. These are the actual brothers, sisters and cousins of the 42 children and high school students we are sponsoring. Each one a jewel in a hopeless situation. 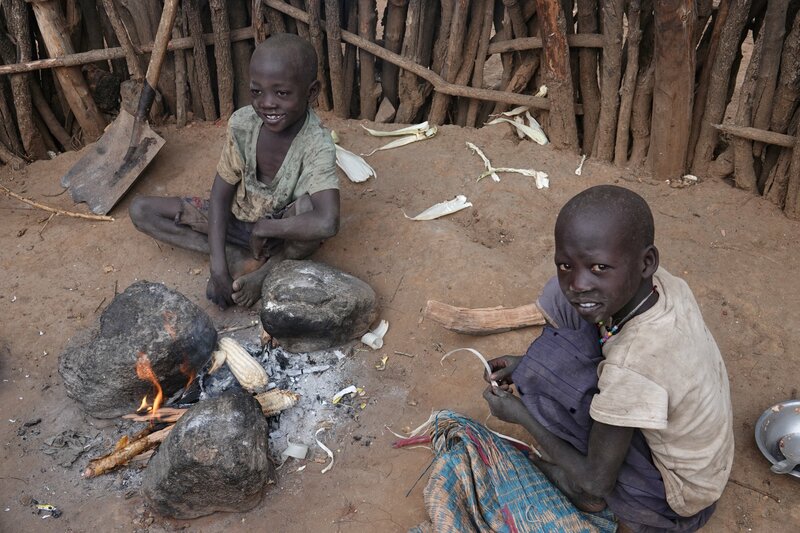 Two young boys cooking corn on their fire. Some of the smiling, happy Ik children.